Raised by a family of artists and designers, Rachel Bennett has been creating artistic works and practicing her design skills her whole life. Rachel Bennett is an award-winning artist and has experience designing in-house for companies such as Paramount Pictures and NBC Universal. She also has agency experience and works on a wide range of freelance projects that include logo design, illustration, movie poster design, album cover art, photography, fine art, social media marketing and the list goes on. She graduated from the University of Southern California with a BA in Art & Design and a Minor in the Cinematic Arts. 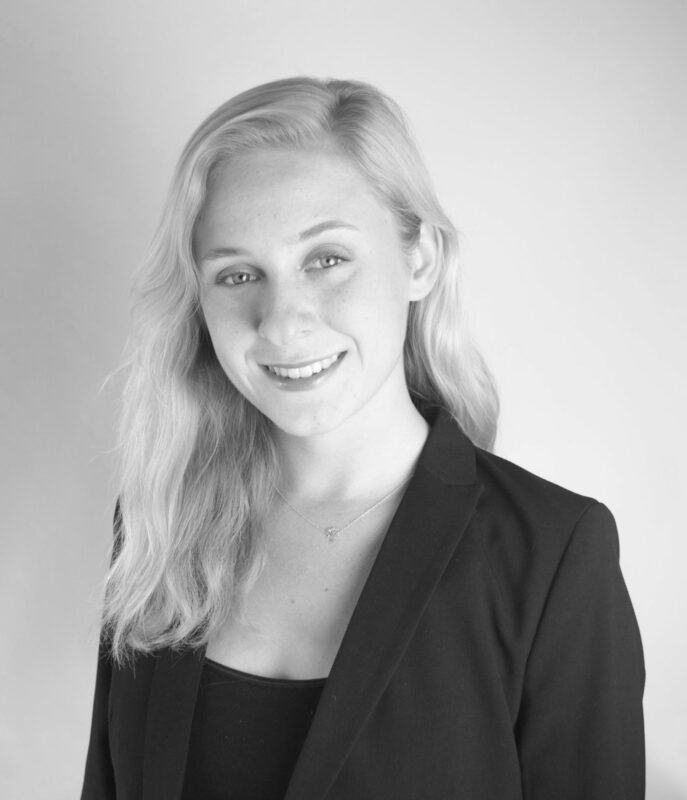 She was fortunate enough to collaborate with exceptionally talented peers on many exciting endeavors and learn from mentors that are at the top of their professions. Rachel is always looking for opportunities to grow and evolve as an artist and as a person. Driven by a passion for film, art, and design, she continues to push herself and find inspiration to transcend the mundane and envision a truly exciting future. If you have any questions, or job inquiries, please contact Rachel. She’d be more than happy to talk or even grab a coffee. Client Marketing professional specializing in entertainment marketing. 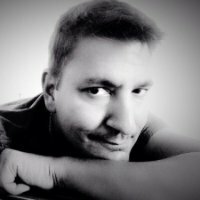 With twenty-plus years of experience in advertising, marketing and development for filmed and live entertainment, retail and corporate brands.Walt Disney Company, Paramount Pictures, Twentieth Century Fox, HBO, MSG Entertainment, JWT Worldwide, Campbell: Ewald, DDB Needham. 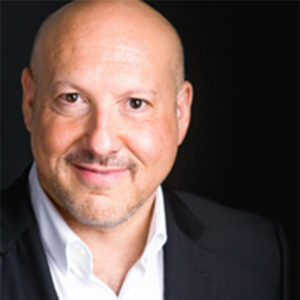 Seth Shapiro is a leader in business innovation and digital media. As an innovation keynote speaker and as the CEO of New Amsterdam Media, a business consultancy firm, Seth helps companies turn disruptive technology to competitive advantage and use digital in innovative ways to build relationships with customers.A two-time Emmy® Award winner, USC Professor and Television Academy Governor, Seth has worked with some of the world’s most innovative companies, including the Walt Disney Company, Comcast, DIRECTV, Intel, Interpublic Group, Verizon, Universal Pictures, Goldman Sachs and a range of startup and early-stage ventures. 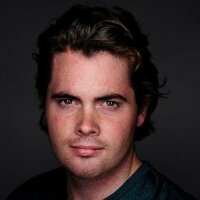 He has been the launch lead for nearly 30 digital services across TV, online, music, and mobile, and helped mastermind game-changing media services like NFL Sunday Ticket and TiVo. 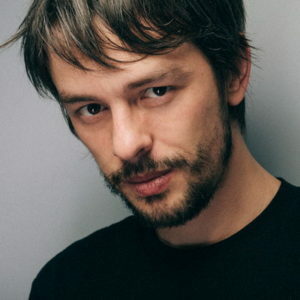 Acclaimed New York portrait and fashion photographer Nikola Tamindzic established his reputation as Gawker's house photographer in 2004. Possessing an uncanny ability to disarm both subjects and viewers alike with his alluringly powerful portraits, he seeks to capture the beautiful contradictions of human experience. Nikola's work has been written about in The New York Times, PHOTO, The British Journal of Photography, and other high profile publications. His clients include H&M, Nylon, New York, Gourmet, Out, Gawker, Village Voice, Time Out NY, Maxim, Stuff, New York Post, The Sunday Times, The Guardian, Sonntags Zeitung, Internazionale, and many others. Ewa Wojciak has an extensive background as both a designer and creative director for a wide spectrum of publications and visual media. Her work for Aquila Polonica has appeared frequently in Publishers Weekly, the Book Expo America Show Dailies, the international Frankfurt and London book fair Show Dailies, and various other trade and consumer media. 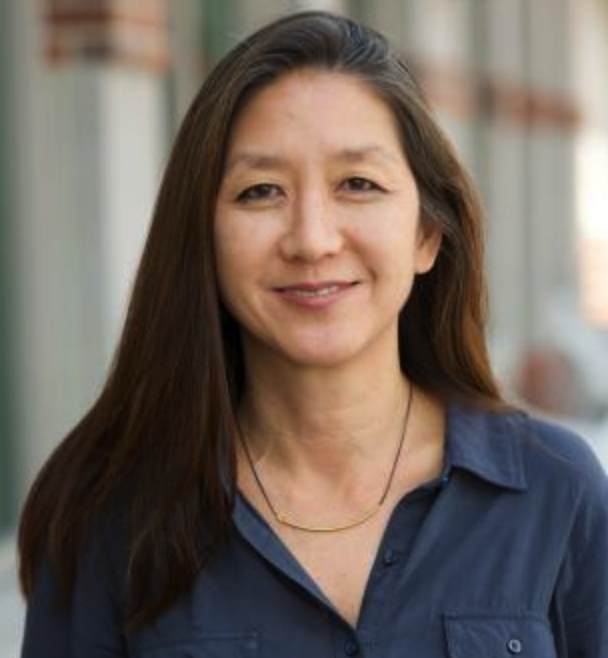 Haven Lin-Kirk earned an MFA at Claremont Graduate University. She has had exhibitions at The Brewery Project, Bank Gallery and POST Gallery in Los Angeles; Ruth Bachofner Gallery in Santa Monica; and Otak Gallery in Dubrovnik, Croatia. Lin-Kirk has received a Maggie Award for Best Overall Design. She is also Vice President of Education, AIGA Los Angeles Education Committee. Adobe Achievement Awards Finalist - Commercial Photography. Adobe Software. Adobe Achievement Awards Finalist - Photography. Adobe Software. Juror’s Choice Award – Photography. OC Fair Fine Art Exhibition. National Gold Medal – Photography. Scholastic Art & Writing Awards. American Visions Award & Gold Medal – Photography. Scholastic Art & Writing Awards Western Region. Silver Medal – Photography. 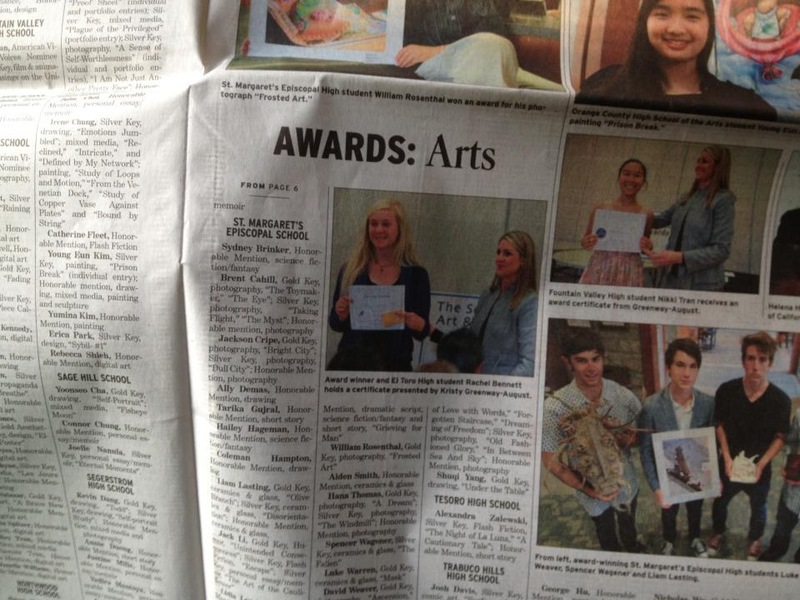 Scholastic Art & Writing Awards. A division of Random House Publishing. BullETen Online at SCJEA competition. Award SCJEA Competition – Editorial Cartoon. 1st Place Award – Editorial Cartoon. 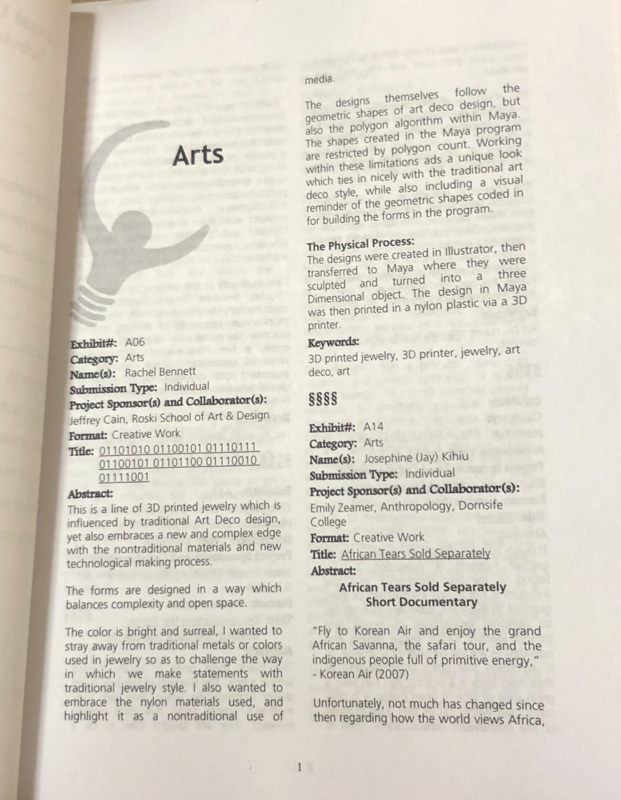 Art and Design summer program. Best of Class – Photography. Juried, group art show, located in the Arts District in Downtown LA. The exhibition spanned two locations in New York City—Parsons School of Design and Pratt Institute—and showcased more than 1,000 of the freshest and most engaging visual and literary works from students nationwide. The Fine Arts Exhibition Program presents contemporary and cultural art exhibitions that showcase local and regional artists. Exhibitions are designed to expand community awareness, understanding and sensitivity to art, and provide leisurely viewing enjoyment. Rachel's Fine Art Photography was published in the catalog. 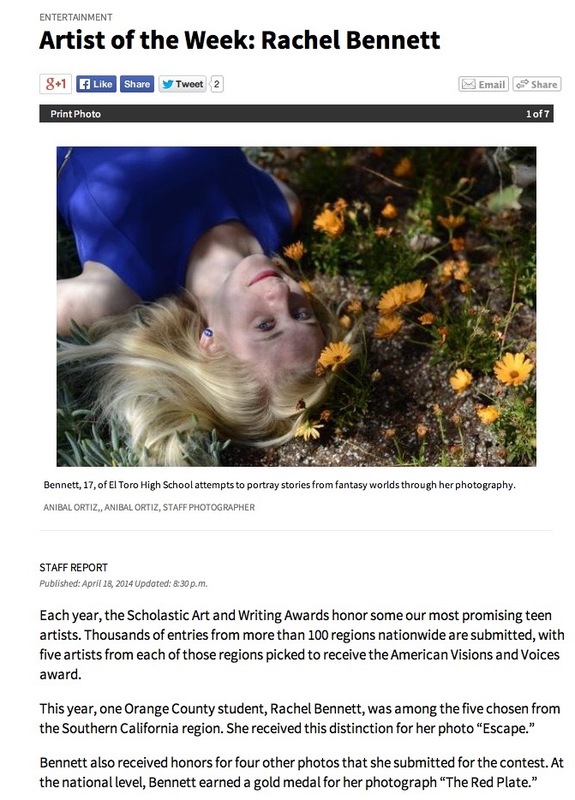 The National Catalog of the Scholastic Art & Writing Awards annually showcases the accomplishments of creative teens who have dedicated themselves to their craft and received national recognition for their efforts. The Alliance prints and distributes 15,000 free copies of its National Catalog each year to students, educators, school administrators, government officials, and educational and creative organizations. 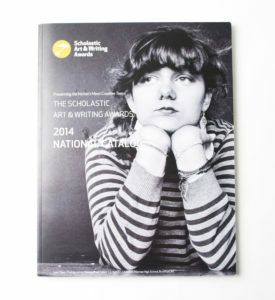 Rachel Bennett's photograph was used as the cover of the nationally distributed magazine. 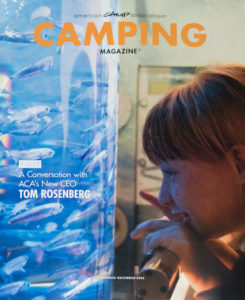 Camping Magazine is the official publication of the American Camp Association, under the authorization of the National Board of Directors. Experts in the camp field contribute informative articles and essays on current advances in camp management, staffing and human resources, programming, risk management, special populations and diversity, health and wellness, and more. In it’s 20th year, the Undergraduate Symposium for Scholarly and Creative Work provides undergraduates with the unique opportunity to exhibit and share examples of their significant research and creativity with the university community. Students may present work in a variety of ways, such as through poster/panel sessions, art exhibits, and electronic media. 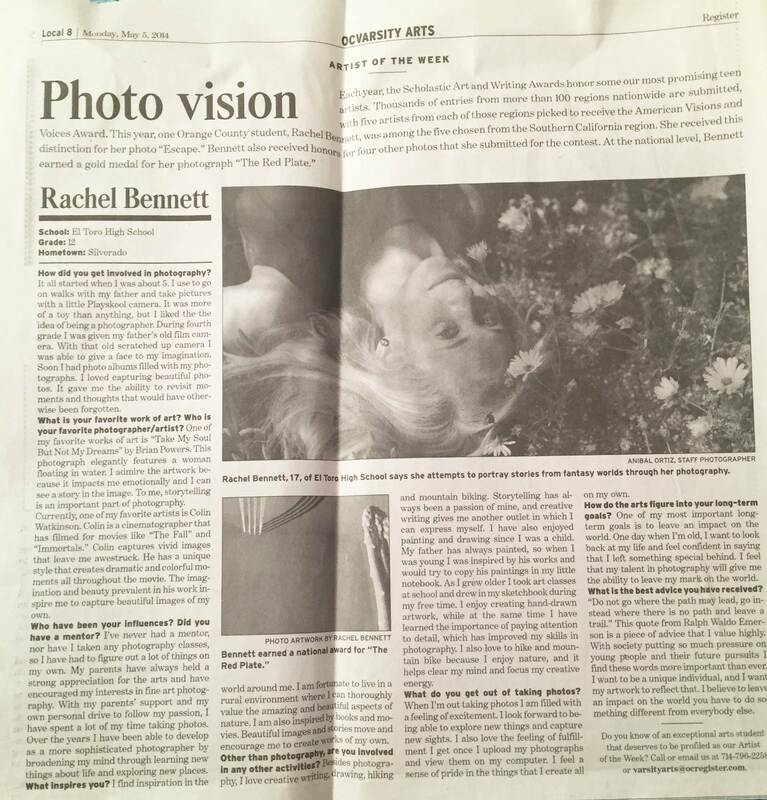 Rachel Bennett was featured in the OC Register as "Artist of the week" in 2014.